As I posted earlier today, last night I attended the second of three Public Testimony Hearings of the NJ Study Commission on the Use of Student Assessments. I was hoping to get a video of my testimony, but as fate would have it, my phone ran out of space. After much internal debate, I decided to post the part of my testimony that did get recorded. It at least gives a sense of how fired up and responsive the audience was. This same intensity and involvement was maintained throughout the evening. Words can not adequately express what happened in that room last night, so I hope the incomplete video, despite the bad angle, lack of focus and hostile lighting, gives you a sense of the electricity that was in the air. If the video of the hearing ever becomes available I will post the full 5 minutes, but after witnessing the 6 hours of scathing testimony against the PARCC, it is hard to imagine that video will ever see the light of day. Without further ado, here is the testimony I delivered to the Commission. Good Evening. My name is Darcie Cimarusti. First and foremost, I want to thank you for your time, for your service to the Commission and to the children of our state. I am here today as the mom of twin 3rd grade daughters. I serve as a member of the Highland Park Board of Education, but my testimony today is my own, and does not represent the board. I currently work for the Network for Public Education, which is a national public education advocacy group founded by education historian, author, and NYU research professor Diane Ravitch. So I’d like to offer suggestions, and tie them to the conversation that is currently happening at the national level. The Senate Health, Education, Labor and Pensions (HELP) Committee is holding hearings to discuss the reauthorization of No Child Left Behind (NCLB) which is 8 years overdue. Congress has held over 20 hearings on the subject, but has failed to act. With all due respect to the Commissioner, to chastise NJ’s parents and educators for not coming to the table with solutions, when our nation’s elected officials have been unable to agree on a path forward seems disingenuous at best. Five witnesses testified before the latest hearing of the HELP Committee – a teacher, a principal, a superintendent, a state commissioner and a research director. Senator Whitehouse, a Democrat from Rhode Island, asked the witnesses how much they thought testing could be reduced while still holding schools and districts accountable for student achievement. The witnesses, with the exception of the researcher, responded that testing could be reduced 50-60%. Senator Cassidy, a Junior Republican Senator from Louisiana, asked the researcher to list the top two factors impacting student achievement. He answered without hesitation - family income and the education level of the mother or father. He placed the quality of the education the student receives third. When over 50% of our nation’s school children are mired in poverty, it is hard to swallow the idea that new, improved and wildly expensive standardized tests are the best response to what ails our most vulnerable students. I would submit to the Commissioner that it is more than likely that the 50% of students he claims are graduating without the skills and knowledge they need are closely correlated to the 50% living in poverty. If we truly want to help those students, what they need most is not an expensive, computer based, standardized test. A tremendous amount of the current pushback is caused by the costs districts have incurred to comply with the technological requirements of the PARCC. The recent revelation that the state will pay for-profit behemoth Pearson $108 million over the next four years for the test alone has confirmed suspicions that the state is paying far too much for an unproven product. The PARCC consortium is dwindling; state after state has abandoned PARCC and returned to their state tests. New Jersey residents wonder what keeps us tethered to what appears to be a sinking ship, steered by the wildly unpopular Pearson. The money saved by abandoning the PARCC can be spent on services for our most vulnerable students. Let’s hire social workers and reading specialists; let’s reduce class sizes and provide all students with deep, meaningful learning experiences, not more tests and test prep. As long as we continue to disaggregate data based on subgroups, a return to pre NCLB grade span testing, which requires students to be tested once each in Elementary, Middle and High School, can provide state and federal governments all the data they need. I do appreciate the states conundrum. Under NCLB, annual testing is mandated; therefore every state is accountable to the federal government, every district is accountable to the state, every school is accountable to the district, and teachers are accountable to everyone. But when it comes to educating their children, it’s hard to make an argument that parents are accountable to anyone but themselves. And the vast majority of parents are fed up with the testing that has taken over our schools. This fact was made abundantly clear in the poll released by the NJEA earlier this week. You can try to repackage the tests, rebrand them, and tell us they’re good for us and for our kids, but to be frank, on the whole, parents aren’t buying it anymore. It is time to actually listen to us. No one else in this broken system seems to be willing to step back and recognize that the weight of what you call accountability rests squarely on the shoulders of our children and their teachers. But as parents, we feel it in our bones. We see our children’s teachers and administrators struggling to keep up with ever increasing mandates. We wince as treasured programs are cut from our schools because funds have been siphoned away to pay for the computers and bandwidth needed for the tests. We see our children lose their love of learning. Is it any wonder that parents and teachers, Democrats and Republicans, are finally standing up, fighting back, and demanding change? We’re tired of seeing our children get less for more; less joy, less learning, less creativity -- more stress, more testing, more standardization. The time has come to reclaim teaching and learning. We are asking for your help to do so, but it seems our pleas are falling on deaf ears. If you fail to help us provide our children with the educational opportunities they deserve, and instead continue to answer only to state and federal demands for accountability, you leave us no choice but to refuse the tests. Which is exactly what I intend to do for my daughters. We sat in these very seats for 6 hours. SIX HOURS! When over 60 parents and educators travel from across the state, and deliver 6 hours of passionate, informed testimony on their concerns about PARCC, people take notice. The press coverage of NJ's pushback against PARCC is steadily growing. You can read some of the coverage here, here, and here. It was quite a sight to see Commissioner Hespe, usually shielded from such intimate contact with the parents and teachers he serves, take it all in. I have to give him credit for sitting through all 6 hours of testimony, unlike Jersey City Superintendent Marcia Lyles, who cut out after a little more than 3 hours. Hespe remained affable throughout, as speaker after speaker annihilated the PARCC. He did however seem particularly attentive to the lone voice that came to the mic to speak in favor of PARCC. When she finished, Hespe made the tactical error of thanking her for her testimony, which elicited fury from the audience, most of whom had not been thanked individually when they concluded their own remarks. When you think about it, it's astounding that out of over 64 speakers, only one was in favor of PARCC. That lone voice belonged to a woman who introduced herself only as Lisa Clarke from Irvington, NJ. She said she was the mom of two grown children, and provided no other affiliation. She said that both of her children attended college, but one was not prepared when he got there and had to take 5 remedial classes to catch up. She stated that this was a financial burden to her family, and discouraging to her son. She was absolutely sure that if he had taken PARCC tests throughout his public school years, she would have known he was not "college ready" and his teachers would have been able to better prepare him. It was the kind of testimony a State Education Commissioner dreams of. She hit every PARCC talking point. 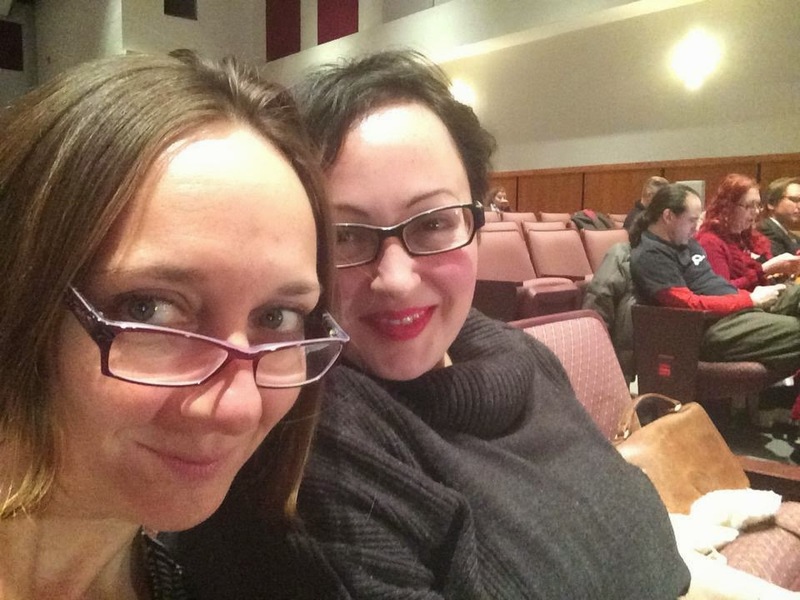 As soon as she delivered her testimony, she left the Jackson Liberty High School auditorium with a group of women who had not testified themselves. It seemed odd. It made me wonder if she was a plant. So I did a little research on Lisa Clarke from Irvington. I wasn't surprised in the least to learn that not only is she affiliated with NJPTA, she is listed on their 990 under "Officers, Directors, Trustees and Key Employees." She testified before the Assembly Budget Committee in 2010, where she identified herself as the Education Reform Chairman for the NJPTA. In this cached page from the NJPTA website she is listed as their Legislative Activities Chairman. 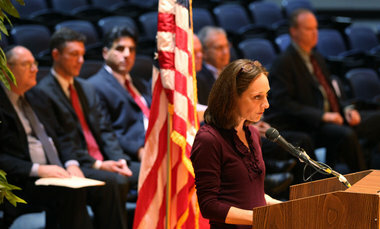 That, ladies and gentleman, is just another way to say she was a NJPTA lobbyist in Trenton. Why didn't she disclose her affiliation? Why masquerade as any old parent off the street, in front of cameras and a room full of witnesses? As I mentioned, as soon as she testified she left the building with a group of women who did not testify themselves. Coincidentally, NJPTA President and President elect, Debbie Tyrrell and Rose Accerra were listed as attendees at last night's hearing, but were not registered to testify. The NJPTA and its leadership is not only doing a disservice to the parents of this state, they are selling them out. National PTA is positioning itself as a key player at the front line of education reform. The association today announced a new three-year effort to mobilize parents to advance key education priorities, beginning with common core state standards—a voluntary, state-led, internationally benchmarked set of high academic standards in English language arts and mathematics. A $1 million grant from the Bill & Melinda Gates Foundation will help support the effort. Yup, that's right. Gates money. Gates money specifically earmarked to promote all things Common Core. As a side note, click the link above to this statement on the Gates Foundation website. There is a link for a supposed PTA press release on the matter, but lo and behold, it doesn't work anymore. You have to wonder, why did the PTA pull their press release about the money they took from Gates? So forget you parents, and your measly $5, $10 and $20 contributions. PTA doesn't answer to you anymore, they answer to Bill Gates. And he's using YOUR PTA to protect HIS investment in the Common Core. NJPTA's transparent attempt to feign support for the PARCC last night was a total fail. Parents in this state have been furious with the NJPTA for quite some time. A template has even been created to let the NJPTA know that their support of Common Core and PARCC is a deal breaker for many, and parents are rescinding their memberships. You can download the template and send it to the NJPTA if you agree that their support of Common Core and PARCC doesn't represent the interests of your child and your child's teachers. In New York State, where parents have been dealing with new Common Core aligned tests for three years, individual PTA chapters are starting to revolt. If the NJPTA refuses to listen to the voices of actual parents and teachers, and instead allows Bill Gates and his money to buy their allegiance, then I can only imagine they will be faced with a similar uprising of local chapters in the very near future. NJPTA must listen to parents and teachers, and develop their policy positions from the ground up, not from Bill Gates down. Until that happens, the NJPTA should rename and rebrand their organization. 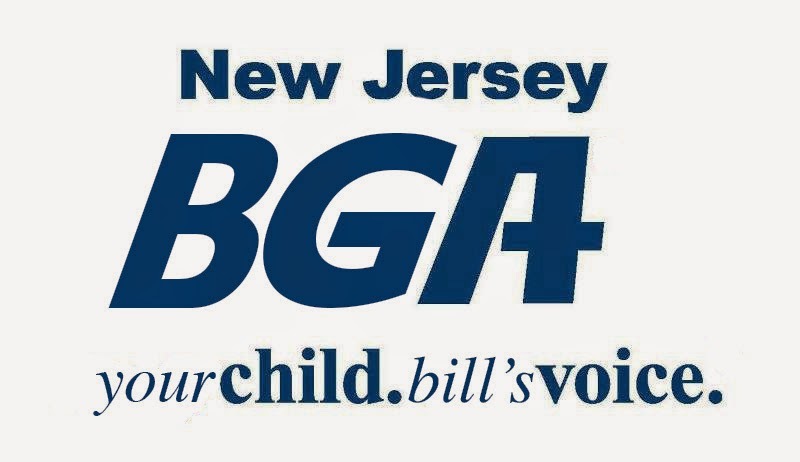 May I present to you, the NJBGA, the New Jersey Bill Gates Association. NJBGA. Your child. Bill's voice. UPDATE: The link I provided above was to only a small fraction of the money the National PTA has received from Gates. Here is the link to ALL grants to date. The total since 2009 is $2,665,422, with the most recent a grant in 2013 for $660,422 "to educate parents and communities on the Common Core State Standards and provide support for district leaders." Educating "parents and communities" is not the same as planting testimony at a state hearing. I encourage the NJPTA to dig deep, and realize that the current backlash is rooted in genuine concern for an organization that seems to have lost its way. I have been contacted privately by an NJPTA board member, asking for dialogue. I have responded, and will try to state the case for those of us concerned with their current position and tactics. I will provide further updates, so stay tuned!